In this work, a highly selective method is presented for the preconcentration of cadmium. The developed magnetic solid-phase extraction is based on the adsorption of Cd(II)-N,N′-bis(salicylidene)ethylenediamine (BSE) complex on Fe3O4-embedded graphene oxide nanocomposite. The N,N′-bis(salicylidene)ethylenediamine ligand was used prior to extraction in order to increase the selectivity of the Cd(II) extraction process. Cd(II) concentrations were determined by flame atomic absorption spectroscopy. The π–π interaction between the Cd(II) and BSE complex and graphene oxide results in selective adsorption of the Cd complex compared to complexes of BSE with other heavy metal ions. The central composite design technique was performed to optimize the effective chemical parameters, including pH, amount of adsorbent, and ligand concentration. Under the optimum conditions, the method showed a linear concentration range of 1.0–130.0 ppb, limit of detection of 0.4 ppb with the relative standard deviation of 3.9% for blank solutions (n = 8), and a preconcentration factor of 50 for determination of Cd(II). The kinetics, thermodynamics, and isotherm of the adsorption process were also studied. The proposed method was successfully applied to water and vegetables samples. 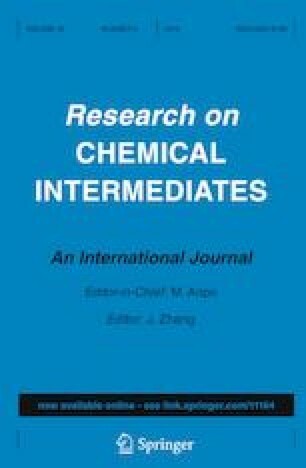 The online version of this article ( https://doi.org/10.1007/s11164-019-03783-7) contains supplementary material, which is available to authorized users. This study was funded by the University of Tehran.